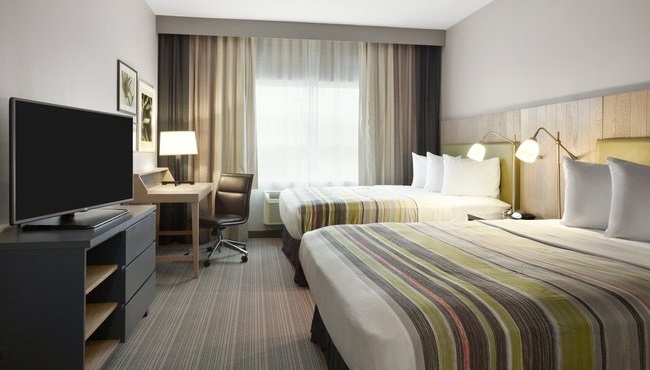 Snooze Soundly in Your Well-equipped Room. 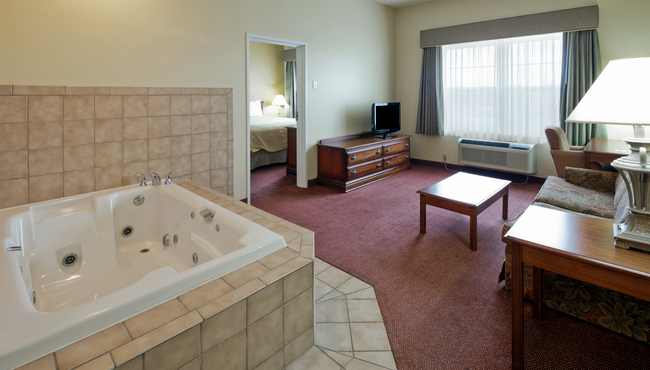 Settle back for a night in the contemporary accommodations at the Country Inn & Suites, Fond du Lac. You can flip through premium cable channels on the 32-inch flat-screen TV or get some work done at the desk using free Wi-Fi. Craving a midnight morsel? Our in-room refrigerator and microwave are perfect for storing and preparing snacks. Wake up to our alarm clock, and use our iron and hair dryer to make sure you look your best before heading to breakfast. *Our hotel cannot accommodate pets, but service animals with certification are always welcome. Choose one king-size bed or two queen-size beds, and enjoy all standard amenities in this charmingly decorated room. Settle into the armchair or the full-size sleeper sofa in this suite’s living area, and take advantage of all standard amenities. Ideal for business travelers, the Executive Suite includes a full-size sleeper sofa, a wet bar and a table with four chairs. Celebrate special occasions in a welcoming Whirlpool Suite, which contains a king-size bed and an in-room whirlpool. This suite is ideal for families since it features two bedrooms. You can reserve this room only by contacting the hotel directly at +1 (920) 924-8800.